Hairy Scary’s Bad Day: Squarehead returns! One of my continually most popular posts – and this thrills me to bits – is my piece about I Am Squarehead, a simply delightful picture book about being oneself, written by Simon Frank and illustrated by Margit Mulder. As I mentioned in that post, I came to Squarehead because I already knew Simon – and one of his business partners, Rochelle, is a good friend. Since then I’ve got to know Margit as well, and when I heard there was another Squarehead book on the horizon I was delighted. Better yet, Simon asked if there was any way I could lend a hand with some social media support around the launch; I agreed with practically unseemly haste. 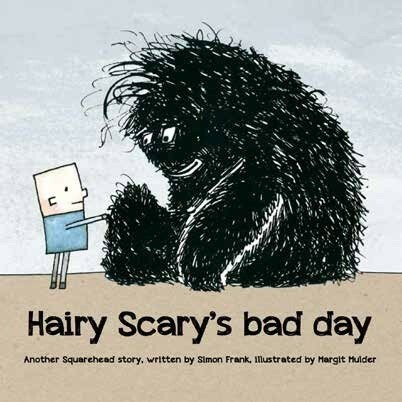 Hairy Scary’s Bad Day picks up where I Am Squarehead left off, but this time focusses on the whuffling beastie Squarehead brought home with him. Hairy Scary is big, and gallumphing and looks pretty terrifying – but everyone knows he’s really an enormous sweetie who gives the best cuddles ever. So how on earth is he going to measure up against the scariest monsters in the world? This week everyone’s been buzzing about Australian Instagram star Essena O’Neill, who suddenly obliterated her online presence – leaving behind a trail of genuine captions which give away the secrets behind each perfect ‘candid’ snap. I’m not sure that came as a surprise to anyone in her audience – especially not her young and very savvy followers – but the willingness to be honest about it was refreshing and more than a little painful. We are so very scared of not measuring up, all the time, and social media can be this constant reminder that everyone else is doing a little bit better than you – their lives a little cooler, more privileged, more beautiful. Of course it’s a carefully edited snapshot, and we know that really but we still, I think, don’t quite believe it somewhere in our fearful, competitive, paranoid lizard brains. It seems to me that the message of Hairy Scary’s Bad Day – that you can only be the best and happiest YOU you can be, regardless of the boxes others seem to tick – couldn’t come at a more appropriate time. Our kids are growing up at a time when it’s normal to have a very public record of everything you do; it needn’t be the complete story of who you are. 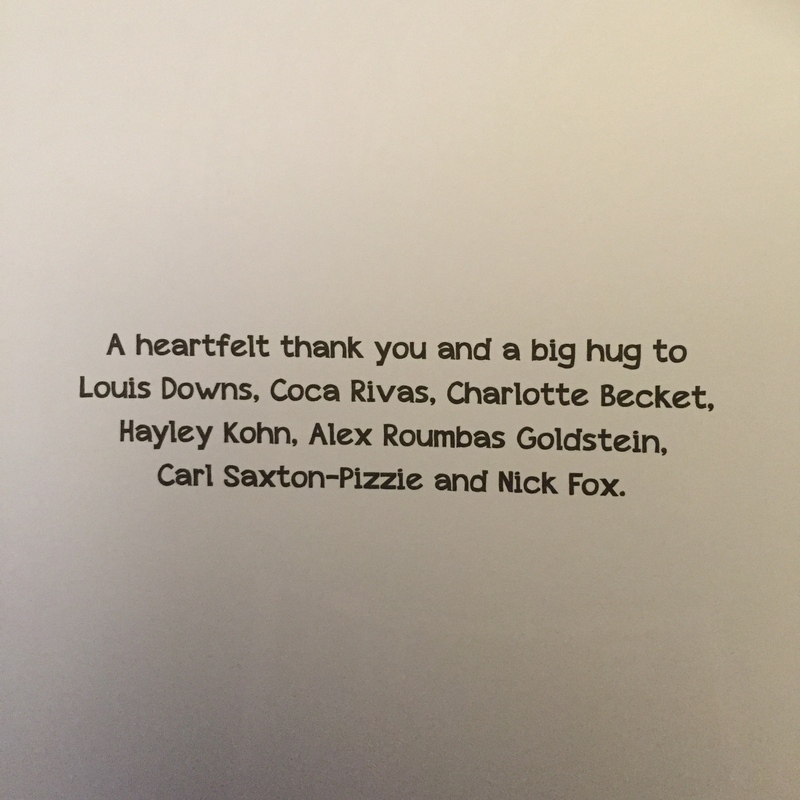 And yet of course it was Instagram I turned to when I discovered – completely by surprise – that I’d earned a mention in the acknowledgements for the book. My first ever, and I couldn’t be more proud and happy to sit in the faintest glow of reflected light from this very special series. Apparently Chinwag might star in the next one – dog lovers watch this space!